He has spoken internationally at the invitation of Japan's Ministry of Transport, Japan's Railway Technical Research Institute, European railway suppliers, and addressed a visiting Chinese government delegation in comments that were published in Vital Speeches. Also, he has met with the U.S. Department of Transportation, the Office of Management and Budget, and the U.S. General Accountability Office on rail passenger issues and was a U.S. Senate appointee to the Amtrak Reform Council. 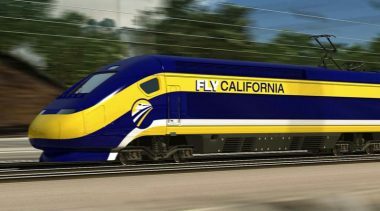 Mr. Vranich is co-author of The California High-Speed Rail Proposal: A Due Diligence Report published by Reason Foundation in September 2008, which anticipated many of the project's shortcomings that have come into public view. He is the author of Supertrains (St. Martin's Press, 1991), a book advocating construction of high-speed rail systems in the U.S. His second work, (St. Martin's, 1997), recommended creation of public-private partnerships and competitive franchising. 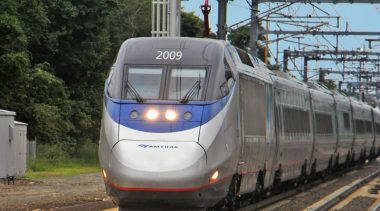 His most recent book, End of the Line: The Failure of Amtrak Reform and the Future of America's Passenger Trains (AEI Press, 2004), outlined how Amtrak failed to comply with reform laws; it also detailed development of Amtrak's high speed Acela trains and examined railway reforms in 55 nations.